Red Deer Advocate, March 2nd, 2012. What strikes the eye as we survey this sorrowful piece of news? Lots of love and concern for a beast, but not one affectionate word about the babe killed by it! This is not just the fault of whoever wrote the article, though he is to blame. The parents of the dead babe are no doubt blameworthy as well. The family pet, they are anxious to inform us, was put down under careful, professional supervision! 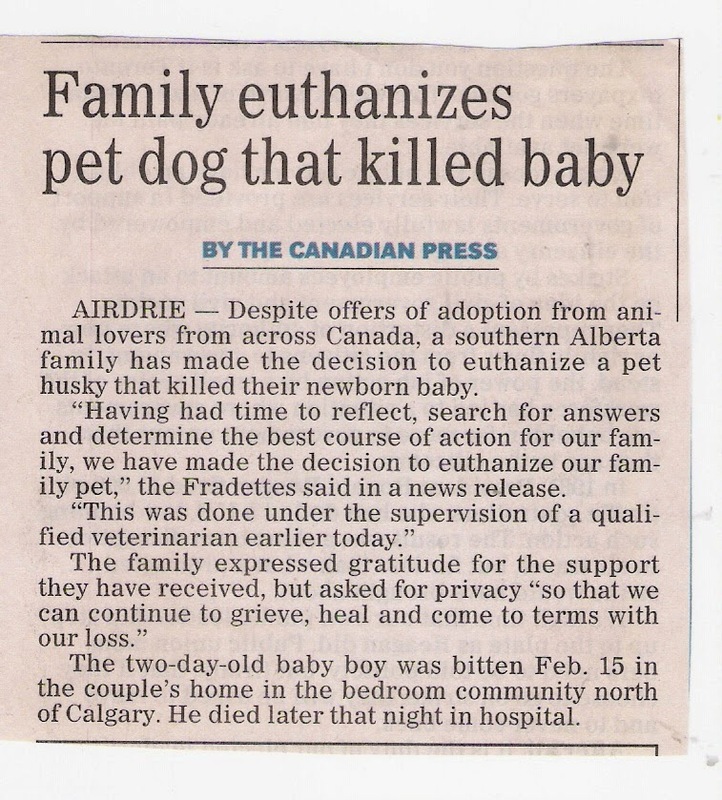 Immoderate love for ‘family pets’ is a widespread phenomenon: offers from across Canada to save the beast that just killed the newborn baby! Yes, that would make a nice pet over by the fireplace! He just mauled the defenseless infant to death, so let’s adopt him, poor thing! Through lust for luxuries and mindless entertainment the people of this country have become increasingly ignorant of the Bible. Because of this, their behaviors and affections have become disordered. Basic distinctions are no longer regarded, if known at all; indeed, they scarcely apply. The Bible will always set you right on the basics of life. It will do so on this present phenomenon of loving family pets. It would do every child well, if, long before the family pet dies, he has been informed that the pet should be liked but not loved, and that the pet is a lower animal form: what the Bible commonly calls a ‘beast.’ Anything less than wrath and outrage toward a beast that kills, maims, disfigures, or even bites a babe is unacceptable, unbiblical, cold, and unloving to humanity. Both man and beast are liable to death (Ecclesiastes 3.19.) God waters the beasts of the earth (Psalm 104.11.) He feeds them too (Psalm 147.9.) None of this needs proof from the Bible. Experience soon teaches us these things. But while man is allowed dominion over all beasts (Genesis 1.26), he is commanded to especially care for certain of them, like those that do him service. “Thou shalt not muzzle the ox when he treadeth out the corn” (Deuteronomy 25.4.) And man has it in him to care for his beast (Proverbs 12.10.) Observe, though, that in this proverb, the regard a righteous man has for his beast is only mentioned to set that low affection in contrast with how cruel wicked men are. And observe, too, that the command to feed the working ox is written down with a higher purpose in mind: as a reminder to sustain the laboring minister of God’s Church (1 Timothy 5.18.) Not to say that comedy pulpiteers ought to be supported, mind you, but only the few ministers who minister the knowledge and wisdom of God to God’s people. Dogs, by nature, are beasts, nothing more, no matter how cute and ‘smart’ some of them are. To love a pet as a family member is to set a creature possessing life and sense (the wherewithal to smell, see, and hear) on the same level as a creature possessing life, sense, and reason (the ability to contemplate and make logical distinctions.) It is a foolish error, and a repugnant one. Once your beast kills your babe, the wellbeing of your beast is no longer an issue to be concerned with. I remember when people were more sensible, not extraordinarily noble or moral, but more sensible than what is now the norm. The neighbor’s dog bit the face of the owner’s daughter back in 1975 or so. That dog ceased to be the ‘family pet’ the moment that happened. The dad (or it might have been the son) promptly took the dog out back and shot him dead. The family soon learned that a family pet is a beast whose rights are nothing but temporary, precarious privileges. 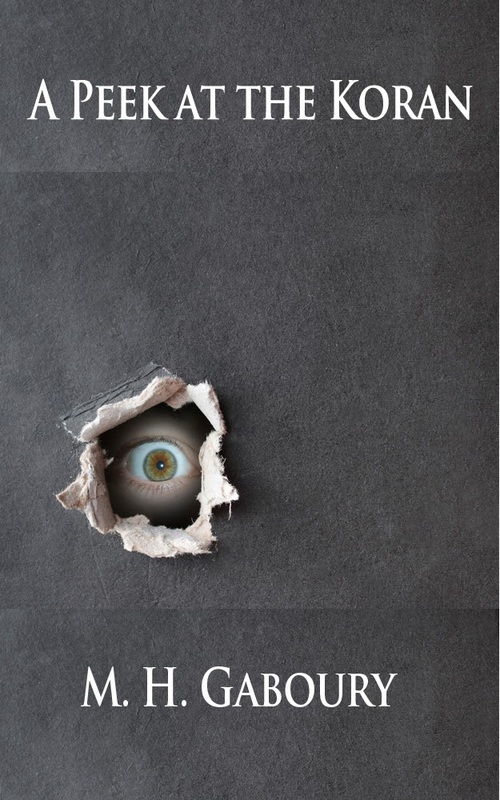 Whatever animates the dog or beast is of a lower order than what animates man. “Who knoweth the spirit of man that goeth upward [not necessarily up into heaven], and the spirit of the beast that goeth downward to the earth” (Ecclesiastes 3.21.) Too many people know too little of the difference between man and beast. We know this at least and for sure: dogs are beasts, not humans. Now if that man deserves to die who sheds the blood of man (Genesis 9.6), is it reasonable to extend compassion to a ravaging beast? We need to distinguish between man and beast, love and like, and right and wrong. Babes and beasts are not created alike; they are not to be treated alike. Biting dogs need to be put down without delay and without mercy. Who knows, maybe this dog had bitten before. Maybe danger signs were seen but ignored. More carefulness would have preserved the baby’s life. We can say at least that. If you’re going to have a beast and a babe at the same time in the same house, then it should go without saying that the beast that you choose to have as your ‘family pet’ should be too small to pose a danger to the babe.